How bad is pulling all-nighters? Hanna is a freshman law student. For the first month of her schooling, she barely logged a full 6 hours of sleep at night. “There’s just so much to read. I was refilling my coffee mug every few hours to keep me awake. After two weeks, I wasn’t sure if I could last the semester,” she recalled. Studies have shown how sleep deprivation can cause harm to every individual in different ways. A recent study shows that lack of sleep can adversely affect one’s ability to commit information to memory. Dr. Kara Horvath of the University of Oxford in the UK led research on three-month-old babies to examine the impact of sleep in memory formation. The findings suggest that the infants could only recall photos shown to them if they had a night right after seeing the image. “It seems for them having a short period of sleep in necessary to be able to consolidate memories, otherwise they just forget the newly learned information,” Dr. Horvath told Reuters. The University of Oxford study confirmed a long line of studies suggesting that pulling an all-nighter for an exam is counterproductive. 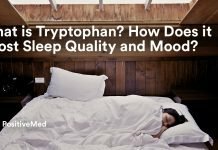 According to a 2014 report by Harvard-affiliated Brigham and Women’s Hospital, getting seven hours of sleep per day “may help maintain memory in later life.” It added that sleep therapy should be considered to prevent poor cognition in old age. 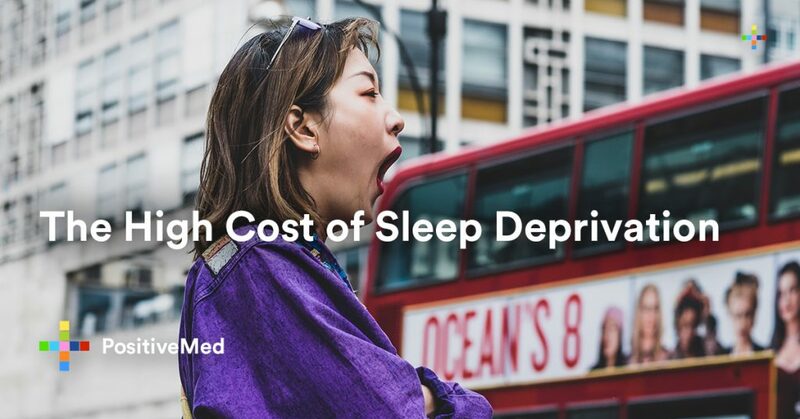 Understand the high cost of sleep deprivation. Here are more studies that explore how sleep deprivation affects the human mind. Do you know that being sleep deprived is equivalent to being a functioning drunk? A study by researchers from New Zealand reported that postponing sleep for 17 to 19 hours can affect one’s performance worse than drinking alcohol. In most US states, the DUI limit is set at a blood alcohol concentration (BAC) level of 0.04 percent for commercial drivers. The performance of a sleep-deprived individual can reach levels equivalent to a BAC of 0.1 percent. Essentially, staying awake for an entire night can make one legally incapable of driving. “Driving home after a long work day, for example, may put you at increased risk of an accident. Drivers who have been awake for more than 17 to 18 hours are likely to be significantly slower at reacting and will be increasingly likely to miss information as the period of sleep loss increases even further,” the researchers noted. One of the effects of sleep deprivation you should be aware of is a personality change. 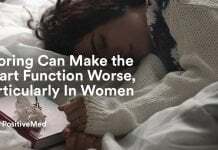 Dr. Matthew Walker of the University of California, Berkeley, and collaborators from Harvard Medical School analyzed 26 students, aged 24 to 31, who were divided into two groups: one that stayed up all night and another that had a full night’s sleep. The sleep-deprived students had their brains scanned via an fMRI while photos were shown to them. The researchers specifically monitored the amygdala or the brain region involved in processing emotions. When gruesome photos were shown, such as those of burn victims, the brain of the sleep-deprived students showed 60 percent more activity relative to the normal population’s response. The findings showed that the connection between the amygdala and the medial prefrontal cortex, or the “policeman of the emotional brain,” was severed in those who pulled all-nighters. “The amygdala seems to be able to run amok,” Dr. Walker said. This can explain why you experience a rollercoaster of emotions – from being annoyed to wozzy in moments – after failing to sleep for at least seven hours. 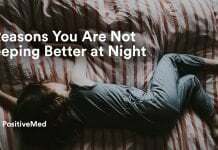 Recent data reveal that 30 percent of US adults suffer from the short-term insomnia and about 10 percent are with chronic insomnia. Insomnia, the most common sleep disorder, is characterized by difficulties in falling and staying asleep. Studies suggest that not getting enough shut-eye can impact one’s emotions, but the impact can be worse than fluctuations of emotions. 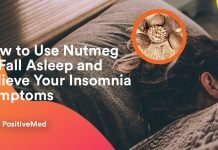 A study on 1,000 adults aged 21 to 30 showed that those who had a history of insomnia were four times more likely to develop major depression. Other researchers reported that chronic insomnia patients are less likely to respond to treatment than their peers who sleep well at night. Sleep deprivation is also proven to trigger a manic episode of bipolar disorder and increase the risk of anxiety disorder. More than 40 million US adults are diagnosed with Alzheimer’s disease, a form of dementia. There’s no single cause of this debilitating condition, but researchers suggest that sleep deprivation may be associated to its development. 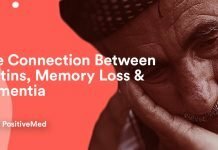 According to a study published in Nature Neuroscience, people who regularly suffer sleepless nights have a higher concentration of beta-amyloid, a protein regarded as a prime suspect for cognitive decline. Dr. Bryce Mander and Dr. William Jagust of the University of California in Berkeley found that study subjects with the highest concentration of beta-amyloid had the poorest sleep and performed worst on a word pair test. “This is not to say that amyloid and other pathologies can’t impact memory independent of sleep. But it does suggest that part of the way it impacts memory is through sleep-dependent memory,” Dr. Mander said. Sleep deprivation, sadly, has become part of the modern day lifestyle. People are constantly in need of staying connected through the Internet and social media. Moreover, the culture of materialism has created a collective delusion that working longer hours, thus cutting precious sleep time, can lead to more success and greater wealth. However, science is clear: sleep is non-negotiable. It is as important as proper nutrition and regular exercise. Sleep deprivation has been linked to obesity, heart diseases, and stroke. It’s also blamed for cognitive decline in later life, poor performance in work and school, and accidents. So think twice the next time you plan to stay up ’till morning to read for class. You might just fail to remember your lecture notes on the day of the exams. Sleep early and do your memorization once your brain has been recharged. Previous articleAre Men Attracted To Women On Birth Control? Maybe Not, Study Says!